Flame of Gold starts out with herbs and resins. On first sniff, one could be mistaken for thinking of Calvin Klein’s Obsession (and that’s not a read, Obsession is all kinds of awesome, my friends) but the whole presentation of this fragrance is entirely more luminous and far less dense than the CK, which certainly works in its favour. So to start off with we have some aromatic herbs that give a classic eau de cologne vibe, a heap of fuzzy, snuggly benzoin (I just want to smush my face right into it like a pillow) and just a mere hint of the tsunami of vanilla and amber that come much later on in the development. So far so good. The heart is cut with facets of leather and cedar wood, both of which serve as a dry contrast to the delectable sweetness of Flame of Gold’s other components. The whole thing could be a thick and cloying overdose of sugar, if it weren’t for the juxtaposition of spiky cedar and smoky leather. Patchouli, in just a wisp and a hint, hides in the background just to diffuse the warmth, like gauze, allowing the smokier tones of the leather to rise up for a time. As it all heads into the territory of the dry down, this dryness cannot help but collapse into the golden pool that rises up, but while it lasts it provides Flame of Gold with a masterfully complex temperament that is a testament to the talents of Dominique Ropion. Flame of Gold reveals its fiery core in the dry down. It is, at heart, a fragrance all about amber and vanilla, and it’s just so velvety soft and cosy that one really does want to wrap themselves up in it. Thankfully, the amber isn’t the traditional sort, which is usually combined with exotic spices to create hot and rough edges. In Flame of Gold the amber and vanilla are symbiotic, swirling together like caramel to create the smoothest, silkiest dry down. What’s more, there’s a refreshing transparency to the almost waxy nature of this duo that really plays into the lustrous nature of demands. There’s enough warmth and texture to satisfy, but this amber is one of the most palatable ones out there. It’s delicious without being edible and plush without being oppressive. Much like diamonds, Flame of Gold is addictive. It’s a fragrance that I find myself craving, often stealing a spritz when nobody else is looking. As far as warm amber and vanilla scents go, it’s pretty spot on, somehow managing to be entirely enveloping yet remarkably transparent. Again, like the stone from which it takes inspiration, Flame of Gold is multi-faceted, offering up glimpses of different odours, a touch of herbs here, a wave of amber there and shades of Obsession here, and there, as it plays out on the skin. 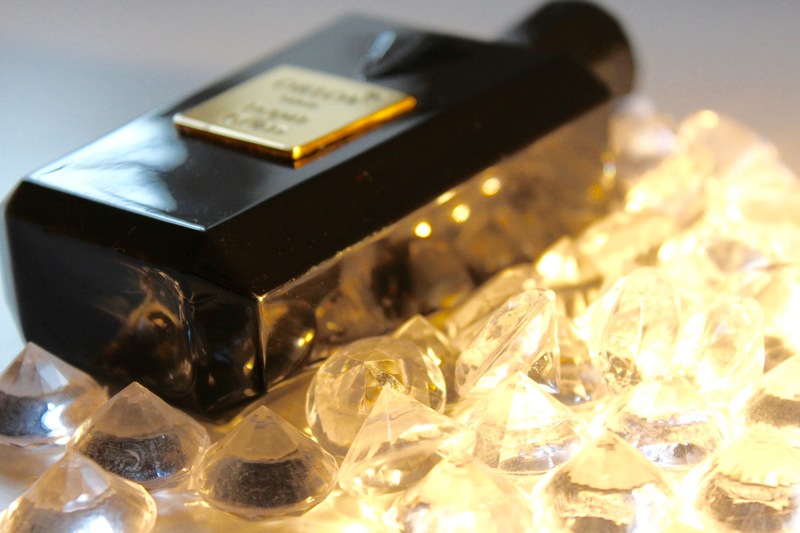 Having briefly sniffed the four other fragrances in the collection (as well as the two Elixirs), I can say that multifaceted luxury is a consistent theme across the line, with five fragrances that smell as classic and complex as painstakingly cut diamonds. Do check them out if you can. Flame of Gold is available in 75ml Parfum for £200 exclusive to Harrods. Four other fragrances; Cross of Asia, Sea of Light, Orlov and Star of the Season, are also available. Orlov and Star of the Season are also available as Elixirs for £250/75ml. Sample, notes and quotes via Orlov. Images are my own. Posted in Niche, Oriental, Orlov, Perfume Reviews, Unisex and tagged Amber, Diamonds, Dominique Ropion, Flame of Gold, Fragrance, Gemstones, Nice, Oriental, Orlov Paris, Perfume, Review. Bookmark the permalink.